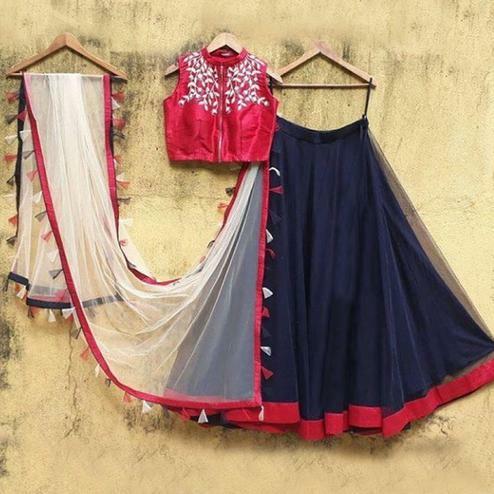 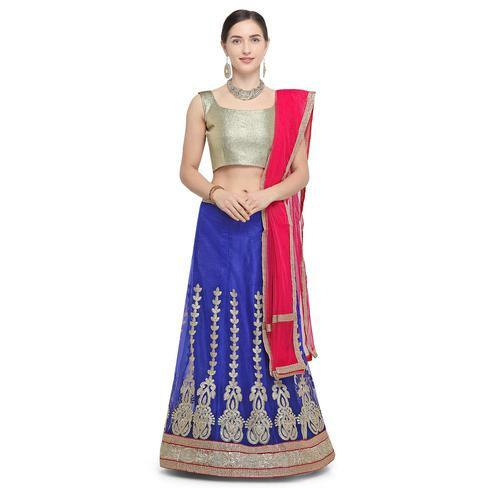 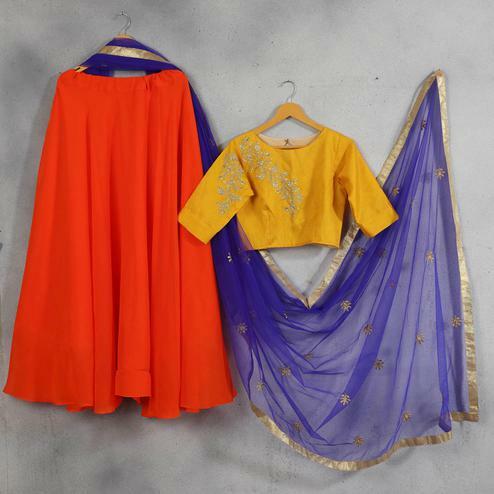 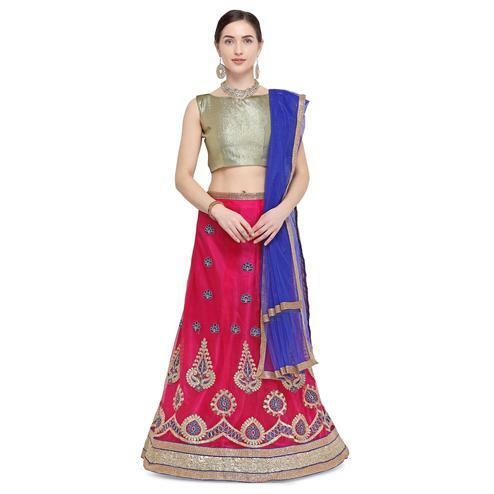 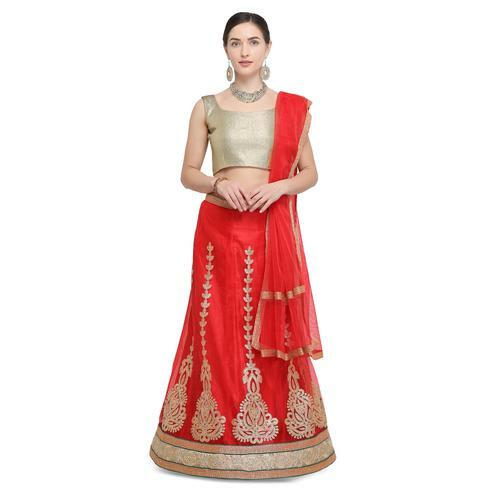 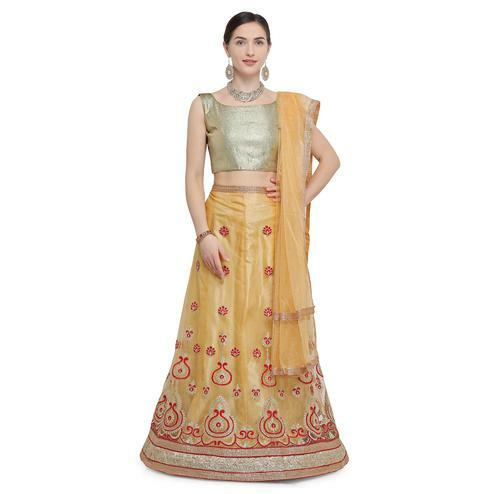 Keep your looks simple & trendy at your upcoming function with this red crop top lehenga. 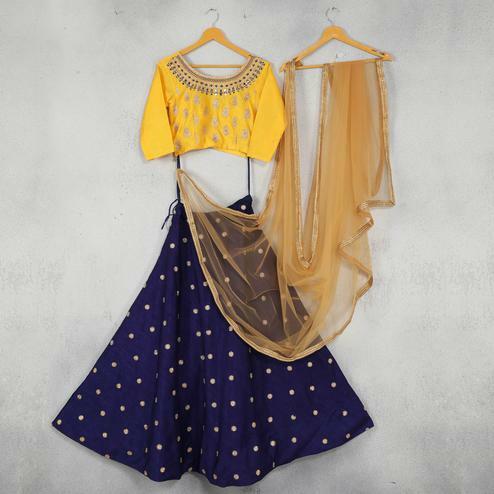 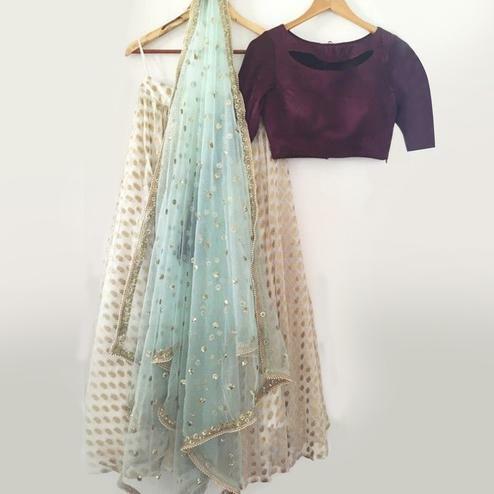 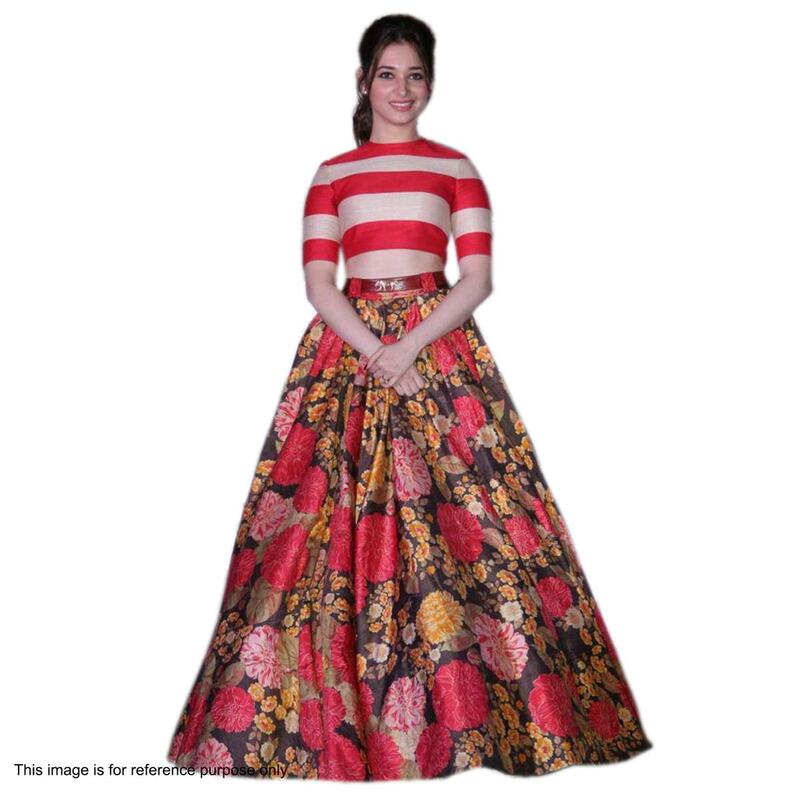 This fusion wear outfit is fashioned on banglori silk fabric which is enriched with floral design digital print work done all over the lehenga and top with stripes design prints. 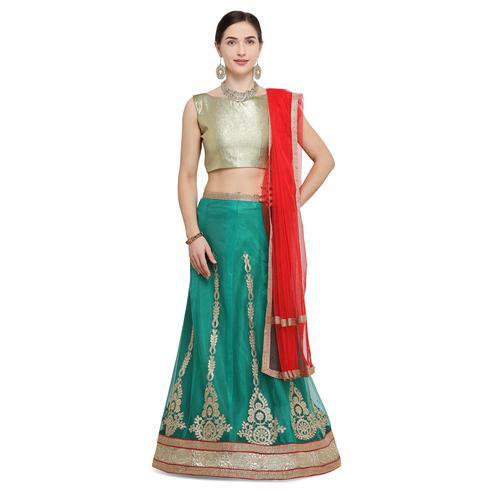 Perfect for parties, events & functions. 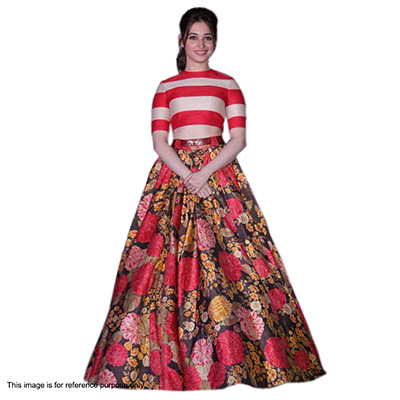 Length Waist upto 40 - 42 inches and length upto 44 - 46 inches.